If you already read Alexander Elder’s best seller, ‘Trading for a Living: Shifting focus from technical analysis to the overall management of a trader’s money, time, and strategy’ you will agree with me that Dr. Alexander Elder is a widely traveled man, both in life and in business, and how he tells it is kind of special. In this book, Dr. Elder expounds more on questions raised in his other trading books and takes the reader through the fundamental secrets of success in forex trading, how to identify new opportunities and using little-known indicators to make a trade profitable. This book is a complete guide to trading for almost anyone with interest in FX, from the beginner who just found out about the global money market to the seasoned professional seeking new methodologies or trying out new trade experiments and need a reference point. The book is a fresh look at the 3 Ms – Mind, Method and Money and goes in-depth to explain the strategies and money management services that will make a difference. Dr. Elder wholly reviews the basics of trading in futures, options and stocks besides forex to expound on the whole principle of buying and selling money to make money and also covers the essential psychological tactics every successful trader needs to know to be organized and become successful in this book. 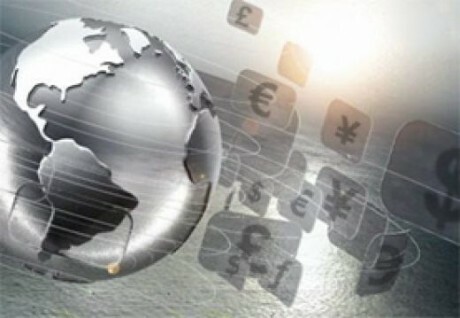 He believes that by showing a prospective or current forex trader that the best ever combination that wins every time is that of the 3 Ms, and mastering them is the perfect solution to being confident, taking bigger but worthy risks knowing how to trade and finally exiting the trade with significant profits. Dr. Alexander Elder himself was not born a forex trader, he attended medical school in Estonia and worked as a doctor in a Russian ship before seeking asylum in the US and thinking that there are better ways to earn than working harder. When you pick up this book, you will read about his journeys and tribulations but you will also learn from his mistakes and miscalculations. He added a lot of new material about himself and about FX in general in this book that was published in 2002 including the less technical methods of analyzing opportunities, more on money management and new materials on the personality and thinking of a successful FX trader. The book has many interesting methodologies, but its strength is in the details of trading rather than making a plan or managing risks. If you are lost as to which trades to pick or cannot seem to make the right decision on choosing your markets, this may not be the best book for you because Dr. Elder does not dwell much on how to choose the trades but rather provides the general rules and guidelines to follow. This being a guide, I would expect more detail but then, I can’t say I have read all his books. 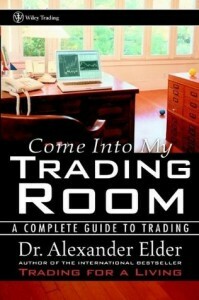 If you liked any of his previous books, you will most certainly find a comfortable spot once you are invited into Dr. Alexander Elder’s forex Trading Room.